GUALFIN, ARGENTINA – “Trump backs death penalty for drug dealers,” was a headline in yesterday’s news. Liberals will howl and whine. But the death penalty may be underrated. It has been used against enemy soldiers, religious heretics, political opponents, bankers, dissidents, revolutionaries, kings and queens, reformers, farmers, and witches. In every case, it was successful. And now, illegal drugs are killing thousands of people every year, say the papers. Legal drugs are killing thousands more, but they don’t mention it. If we just increase the penalties on the illegals, goes the logic, the dealers will go into law or politics and leave the market to the serious drug professionals at Novartis and Sanofi. “Drugs have become a big problem here, too,” said Sergio, a friend from Salta, when describing how the local culture of the Argentine Andes has changed. “People here used to be strong and self-reliant, with close families that helped each other. They had to. The land is tough. The climate is rough. And they got no help from anyone. They planted crops. They raised animals. They made pots out of clay. They wove sweaters, blankets, and ponchos. They knew how to survive out here. You wouldn’t leave home either. It’s to vacation in a way most folks can only dream of. Recently, he flew his family to Capri, Italy. 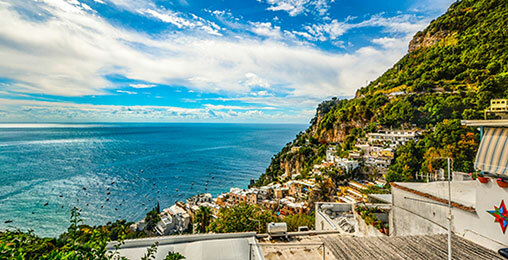 Before snapping this pic of the Amalfi coast, he did something unusual with his phone… executing a powerful trade few know about, which took only a few moments. The result: On vacation, he made more than some Americans do from a week’s work. For a moment, we had a flashback to Baltimore. Down here in the cordillera, we are a long way from Baltimore’s slums. But human nature is the same. So is the way government turns nice places into sh*tholes. Baltimore, west of Eutaw Street, is a wide expanse of modest houses built in the 19th and early 20th centuries, to offer comfortable, fairly spacious, airy, and light homes to the city’s proletariat. The ubiquitous white marble steps became an icon of Baltimore itself; it was a ritual of city life for housewives to scrub them clean; sloshing the wash water over them was as sacred a ritual as the city ever knew. But there are hardly any clean marble steps in West Baltimore today. And hardly any housewives. And hardly any husbands. And hardly any working people, either. Whole neighborhoods have turned into semi-abandoned slums, with boarded-up and/or burnt-out houses, and trash piled up in alleys and vacant lots. As for the people who remain, they are like survivors of a catastrophic War of the Worlds, living amongst the ruins like rats, barely literate, barely numerate, and barely civilized. A child born here cannot even expect to collect Social Security; he will live only as long as someone in famine-plagued North Korea. His living conditions will be worse than those in Nigeria. The poor kid has been born in a sh*thole. But those people weren’t that way before 1965. Between 1940 and 1960, the black poverty rate had been nearly cut in half. Blacks were gaining ground on whites – with a steady increase in black professionals and a doubling of income for blacks in skilled trades. The streets of West Baltimore were relatively safe, inhabited by families with two parents. In the 1880s, more than three-quarters of black families had both parents present. As recently as 1950, black women were more likely to be married than white women, and only 9% of black children lived in single-parent homes. Today, everyone knows that Baltimore slums are hellholes of drugs, crime, and poverty. But how did they get that way? Simple, the feds undermined the two most fundamental win-win deals that make civilization possible… work and family. Win-win deals aren’t necessarily easy. If you want to earn a living, you have to get up in the morning, dress properly, say please and thank you, and often do things you’d rather not do. You might prefer to sit in the shade drinking a beer, but the work world has its own plans, its own schedule, and its own rules. Likewise, if you want to get married, you have to bring something to the table… and make compromises. The woman doesn’t want the man smoking in the house. He doesn’t like the color pink. He snores. She whines. And yet, marriage has proven to be such a big win-win that it is universally present – in every civilized culture we’ve heard of. It’s not hard to imagine why. Keeping a house. Raising children. Earning a living. Dealing with life’s challenges – it’s not easy, even with two people on the job. Ideally, each party to the marriage brings something the other lacks. One earns money. The other is a good housekeeper. One can do math. The other does words. One is daring. The other is timid. One spends. One saves. Together, they succeed. As Senator Patrick Moynihan noted in his landmark report in 1965, the disintegration of the family leads to the destruction of the whole community. For the next few decades, means-tested welfare programs such as food stamps, public housing, Medicaid, day care, and Temporary Assistance to Needy Families penalized marriage. A mother generally received far more money from welfare if she was single rather than married. Once she took a husband, her benefits were instantly reduced by roughly 10 to 20 percent. People are neither always good, nor always bad… always subject to influence. When the War on Poverty was announced, the out-of-wedlock birthrate was only 3% for the nation and 24% for blacks. Today, three out of four black people are born to unmarried women. Crime rates rose. Poverty increased. Marriage creates stable win-win families. If you want to avoid being poor, and going to jail, say the experts, get married and stay married. But the feds didn’t stop there. They also undermined work. In a broad sense, the whole welfare system encouraged people not to work. “You get what you pay for,” said Milton Friedman. The welfare system paid for idleness; it got plenty. Minimum wage laws also knocked the lowest rung off the employment ladder. You couldn’t hire people whose skills made them worth less than the statutory minimum. By the ’70s, the schools were also failing, as the communities fell apart. This left young blacks with very low skill levels, few role models, and no way to get a win-win deal in the world of work. Not satisfied with the destruction thus wrought, the feds went further. In 1971, the Nixon administration announced a “War on Drugs.” Since drug use was already heavily concentrated in the black communities, the body count in West Baltimore was bound to be high. Many of the people shot dead in Baltimore today, for example, are victims of the drug war. And nationwide, about a million people a year are locked up for drug offenses – mostly trivial ones. These people then have criminal records, further alienating them from the win-win worlds of work and marriage. And now, the president of the United States has turned into a world improver. He has a plan. He wants to make dealing drugs a capital offense. The occupation will become more hazardous. But this will make the price of drugs go up, fattening profit margins for those who stay in the business. And what kind of person will continue to deal drugs in the face of the death penalty? Let us guess… the hardened criminal, the desperado with nothing more to lose, and the seasoned crony with fixer friends in high places. We can’t see into the future better than anyone else, but most likely, escalating the drug war will bring more Mexico-style killings – with pitched battles between rival dealers and fights-to-the-death between dealers facing the guillotine and cops looking for battlefield glory. Turn West Baltimore into a Win-Win Zone. Get the feds out. No welfare. No minimum wages. No food stamps. No disability. No taxes. No regulations. No politics. No votes. No public schools. No public policies. No war on poverty. No war on drugs. Just minimal police protection for people and their property. Otherwise, leave the poor people alone. In short, give peace a chance. And we will make a modest prediction. Within 10 years, West Baltimore would be the most dynamic, most prosperous urban area in the country. 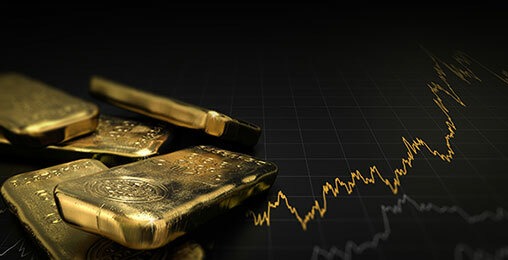 The cryptocurrency market in general has been experiencing a serious pullback. From a peak of $824 billion in January of this year, the total cryptocurrency market cap has fallen 59% to around $331 billion today. Given this recent drop in the cryptocurrency markets, some of us might be wondering if this pullback is permanent or just a normal market correction. This correction certainly hasn’t disappointed. 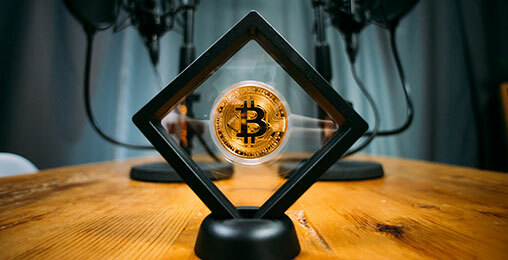 But years from now, what we are experiencing today will be seen as just a tiny blip on the charts of high quality digital assets and cryptocurrencies. You don’t have to take my word for it, though. Let’s take a look at the numbers and you can decide for yourself. Above, you’ll be able to see the striking increase in investment in 2017 compared to 2016. 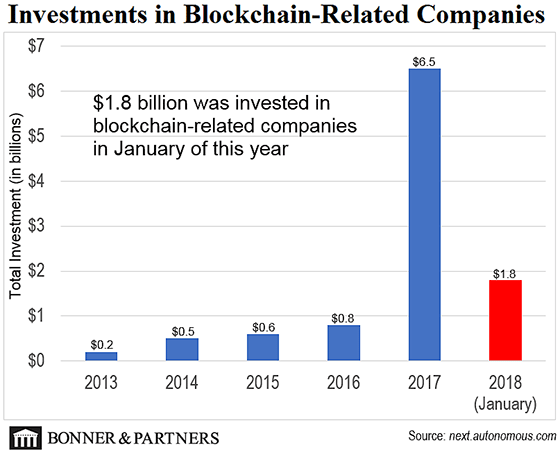 $6.5 billion in total was invested in blockchain-related companies last year compared to a “mere” $0.8 billion in 2016. And the data for 2018 is only through January, yet it is already at $1.8 billion. I’ve been to eight blockchain and cryptocurrency industry conferences this year, and it’s only mid-March. Everything I’ve seen tells me one thing: 2018 will be another monster year for cryptocurrencies and blockchain-related companies. P.S. Most crypto traders spend their days worrying about the price of bitcoin or wondering if the crypto market will rebound. But there’s a better way: by investing in the technology behind cryptocurrencies, not the coins themselves. It’s how you can profit from cryptocurrencies in 2018 without ever having to buy bitcoin. Here’s how. The new Fed chair, Jerome Powell, hiked rates yesterday. Powell and the Fed are trying to control inflation and keep the economy from overheating. But there’s one troubling possibility: They may have no idea what they’re doing. Do you know what red flags to look for before buying a cryptocurrency? If not, read this. Jeff Brown, Bill’s top crypto expert, shows how to spot a crypto scam. Accurate, powerful, and profound. Thank you very much. Most of us trusted America’s structure growing up and in our youth. We did our best to conform to society, study long and hard in grammar school and high school, go to college and study long and hard again, get a degree, then a “good-paying job” (it wasn’t good-paying for long), marry, buy a house in an attractive, safe area, have kids, send them to college, and live comfortably and worry-free. However, after the late 1970s, we saw that things were not happening like that. We increasingly saw good, educated, responsible, hard-working, law-abiding people not getting what they thought they would get by being good, responsible, and hard-working. The “job” became a nightmare of breaking even every two weeks, borrowing money to pay bills, not being able to buy a nice house, not being able to send kids to good schools, and chronic worry and stress. The fairness and “a chicken in every pot” disappeared. It became a scene of the highly intelligent, educated, observant, insightful, clever, and aggressive taking over, and leaving the naïve, ignorant, blindly-trusting behind. America was supposed to be a fair-to-all country, but human nature took over. I generally love your columns. But comparing a 90s F-150 to an F-150 today and assuming you are buying the same truck is wildly inaccurate. Today’s standard truck pulls what an F-350 would pull in 1995, comes with a suite of electronics, a bigger cab, better seats, and will run for 15-plus years on normal maintenance and never see the repair shop. For an extra 200 hours of work and, say, $4,000, the consumer will have a far more luxurious truck with a maintenance cost that will be far less over its lifetime than the extra $4,000. As a retired stiff, in a comparison of my 2017 federal taxes to the revised 2018 taxes, the 2018 taxes have increased. So much for the tax reduction. I read an article a month or two back where an economist (little-known) said that the income inequality situation is far worse than any of the standard measures indicate. The way he looks at it is to subtract the cost of basic living (food, housing, etc.) from each segment’s income and then see what’s left over for saving and investment, since that’s the only way of growing one’s wealth. And the lower-income folks (almost all of us nowadays) have very little of it. Virtually all of the savings and investment money goes to the very top of the income pyramid. In my own mind, we should not be taxing income, we should be taxing net wealth. Taxing income is taxing the folks who are trying to get rich, and has a very limited impact on the folks who are already rich. The uber-rich can live just fine without having any income, and they can borrow against their assets for far less than the assets earn annually. President Trump recently completed his first year in office. Already, people are wondering if POTUS will run for a second term. 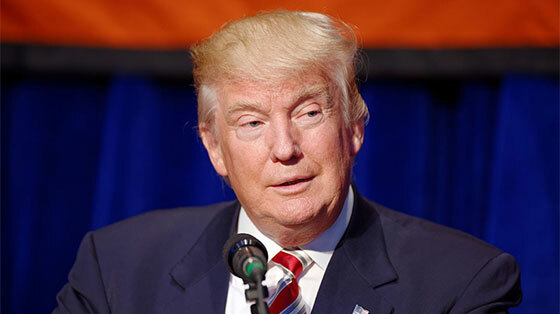 But according to research from our colleagues at Casey Research, the president will fail to win reelection unless he can accomplish this one task.